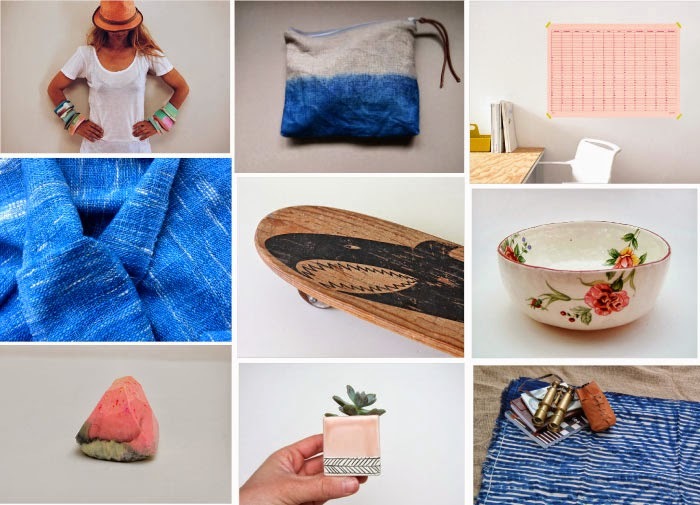 Indigo blues, peachy pinks, rustic pottery, vintage skateboards. Here's 10 recent finds on our radar these days at Etsy. Hover over each image for more information or click through to see each listing! Happy Friday and Happy Fourth of July to our southern neighbors! those bowls! I love the flower print on it. So in my lustlist now! What fantabulous finds! Thanks so much for sharing my Indigo cloth! Those mini planters and the tapas plates are awesome! I will have to check out those etsy stores! oh what a lovely mix of things, I am liking the tapas plate especially , and the succulent square planters! I like etsy but sometimes its hard to sift through everything to find the gold!